First Bible Baptist Church started with a group of believers that first met at 25 Lake Avenue in Lancaster. The church was officially incorporated on January 12, 1977. In 1978, Howard McGlammery pastored the church and saw it grow. After meeting in the Odd Fellows Hall for a brief period of time, under the leadership of Pastor Steve Janke, in September of 1982, the church purchased the school building at 50 Indian Road in Cheektowaga. Robert Montgomery became the third pastor in early 1986 and remained the pastor until October of 1989. In early 1990, David Allen and his family were called to Cheektowaga to pastor the church. During this time many new believers were added to the church and a common vision was shared. 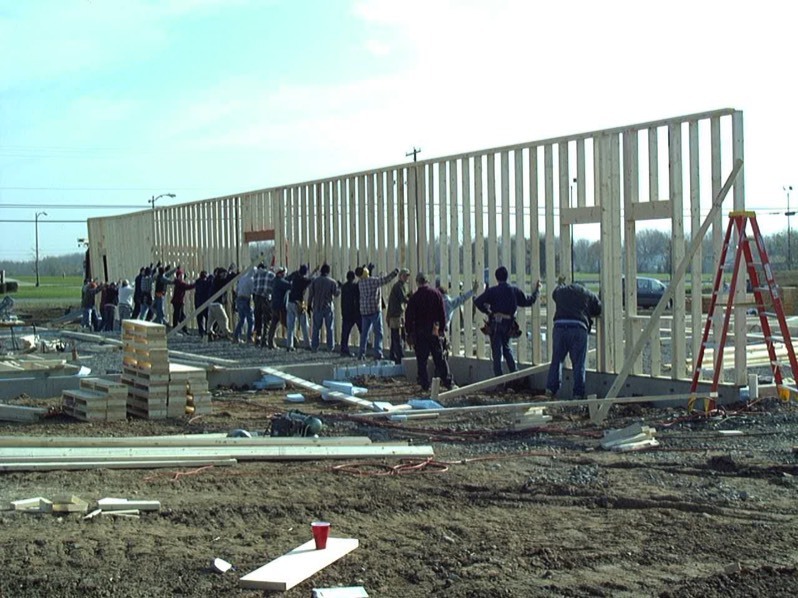 The church secured and purchased land for a new location on 4.25 acres at 555 Central Avenue, Lancaster in June of 2001. By God's grace as well as a lot of hard work and sacrifice a new building was constructed and dedicated in March of 2003. In June of 2004, Pastor Allen resigned as the pastor of the church. After his resignation the church extended an invitation to Pastor Richard Scheer to become the Pastor of First Bible Baptist Church in February of 2005. 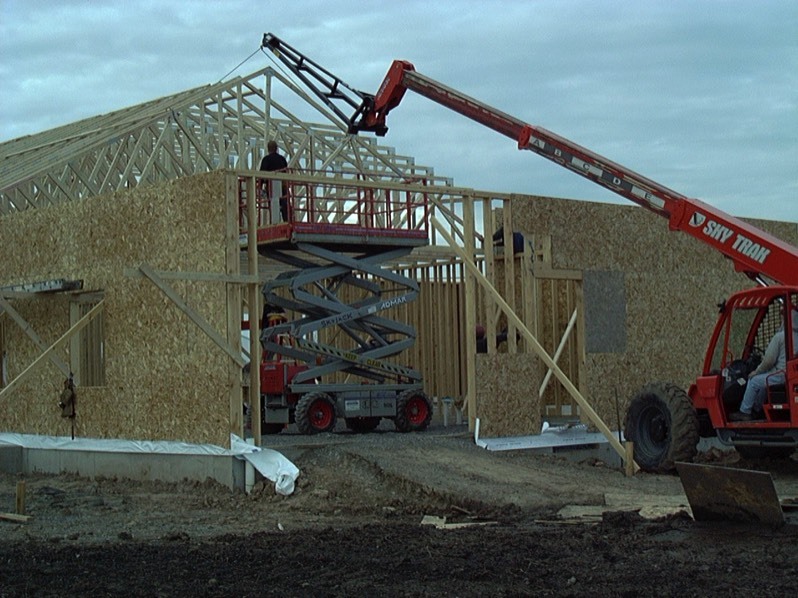 In November of 2006, the church purchased an additional 16.5 acres of land that is adjacent to the church property. Early in 2014 Pastor Richard Scheer and the deacons of First Bible Baptist Church were approached by the leadership of Bread of Life Baptist Church about the possibility of a merger of the two congregations. In March 2014 both congregations unanimously voted to proceed with the merger. On Palm Sunday, April 13, 2014, the members of Bread of Life Baptist Church officially transferred their membership to First Bible Baptist Church. Around 1983-84 a missionary with the Southern Baptist Association started meeting in an apartment with a few Spanish speaking people that had been saved. From there they grew and rented a store front. They named the mission "Iglesia Bautista Puente de Paz"(Bridge of Peace Baptist Church). In 1985, they rented space from Prospect Avenue Baptist Church. In 1987, a group of Spanish speaking church members left Lighthouse Baptist Church and joined Bridge of Peace. In 1989, the Pastor, Javier Sotolongo, left for Miami, Florida, leaving Bridge of Peace without a pastor. The church was without a pastor from October of 1998 to May of 1998. There were many preachers that came in and out throughout those many years but they never worked out due to many doctrinal differences. In May of 1998, Peace Bridge Baptist Church, after many years of saving their money, wanted to get their own church facility but was approached by Prospect Avenue Baptist Church to merge with them because they had the same doctrine. The pastor of Prospect Avenue Baptist Church at that time was John Moran. In June of 1999, Pastor Jose´ Rodriguez was called because Pastor John was very ill and the church desired a bi-lingual Spanish/English speaking preacher. Pastor Jose´ was with the church from June 1999 to August of 2010. The Prospect Avenue church building had structural damages to it and was therefore condemned for usage by the city. By then the building was put on the market for sale. The building on Prospect Avenue was sold in January of 2011. Pastor Jose´ had been pastoring two churches at the time and it became very difficult for him to pastor both churches simultaneously, so he resigned to focus on his church in Rochester, NY. The church was renamed as Bread of Life Baptist Church because they were not at the Prospect Avenue location anymore. The church began meeting at an apartment building for seniors from 2008 through November of 2009 when the church was invited to rent space at Symphony Bible on Richmond Avenue in Buffalo. Pastor Elio Dias was the pastor from August 10, 2010 through January 23, 2013. Pastor Elio gave his resignation on November 24, after the service effective January 23, 2014. On February 4, 2014 Bread of Life had their annual business meeting. After discussing the current state of the church it was recommended that perhaps the church should merge with another like-minded church in the area. First Bible Baptist Church in Lancaster was contacted and requested an opportunity for our entire church to attend the services at First Bible Baptist Church on March 2, 2014. On March 4, 2014, the church treasurer and the deacon from Bread of Life attended the Deacon’s Meeting held at First Bible Baptist Church. Formal discussion of a possible church merger began that evening. 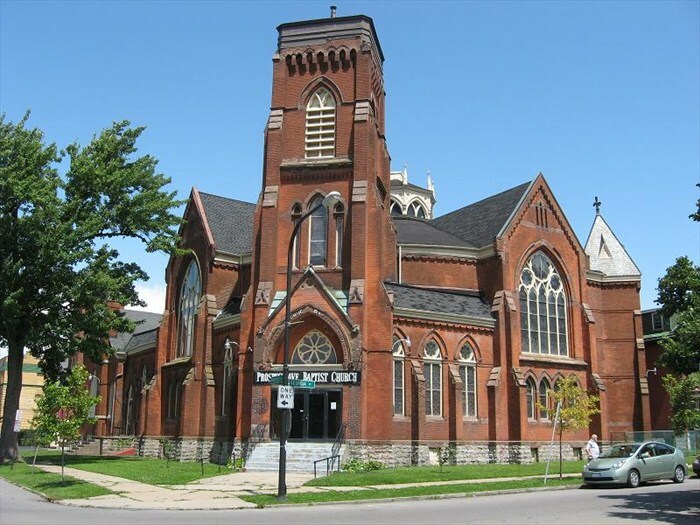 Prospect Ave. Baptist Church began as 9th Street Baptist Church on June 10, 1868 when eighty seven members of Washington Street Baptist Church in Buffalo left their home church to start this church plant on Buffalo's West Side. The church was pastored by Rev. Horace F. Barnes from 1869 to 1871. In 1872 Rev. E. E. Chivers became the pastor. The name was changed in 1872 to Prospect Ave. Baptist Church. The church grew dramatically in this time and needed a larger facility, so an adjoining building was designed by prominent Buffalo architect W.F. Caulkins, built from 1881-1882 and dedicated free of debt. Rev. Chivers resigned his pastorate at Prospect Ave. in 1894 and was succeeded by Rev. J.N. Field who led the church until 1901. Rev. G. G. Johnson followed in pastoring this church. At this time the church had between 600-700 members. The church continued to be a dynamic center of worship in through mid-twentieth century. A few prominent Buffalo business people attended the church (The Peachey's of Loblaws Markets, M.J Peterson of real estate development), but it was mainly made up of those of the working class. 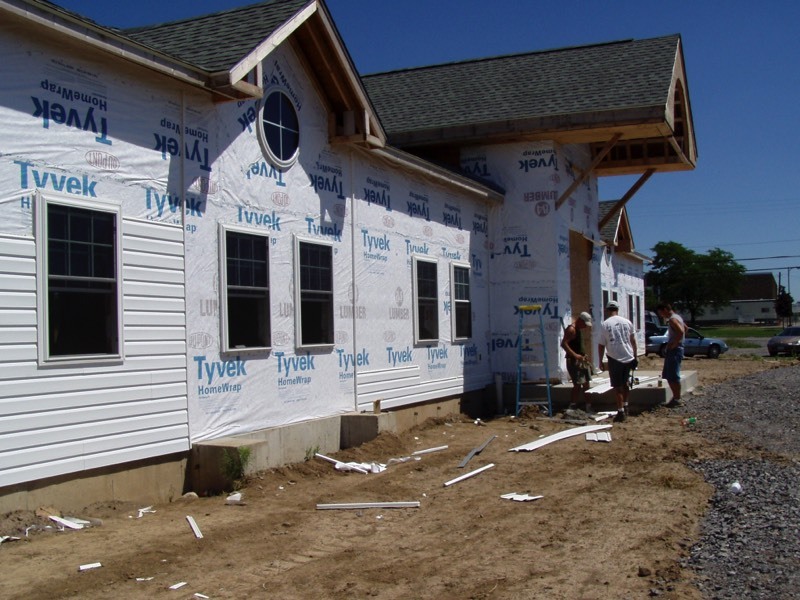 The three pictures above are of the construction of the church building at 555 Central Ave. in Lancaster. The above picture is of the Prospect Ave. Baptist Church building on Buffalo's west side.